I've had 3 in less than 18 hours. Also, I just think it needs to be said that their rewards program is awesome! 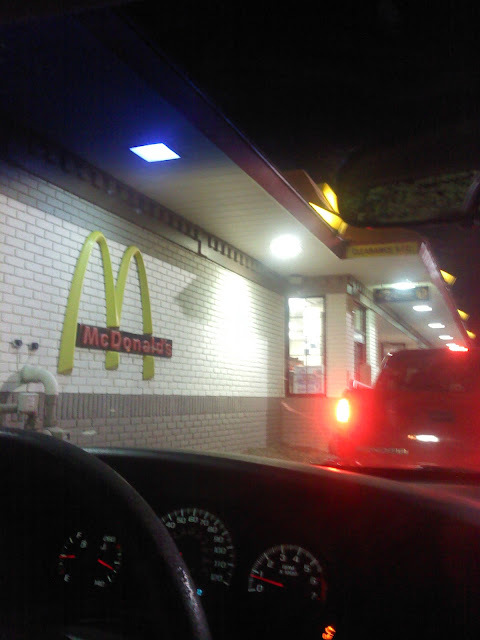 Between my Soulie and I, we've already gotten a free drink! I live in a fairly small hick town. 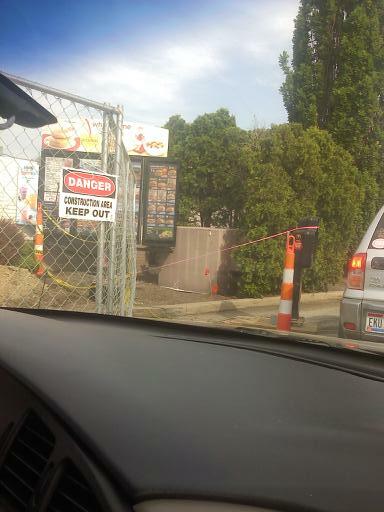 Last night when we went to McDonalds the first time, we noticed that they started to do construction to add a second drive thru. No biggie right? was out in the road on a piece of wood with pink tape holding it in place. 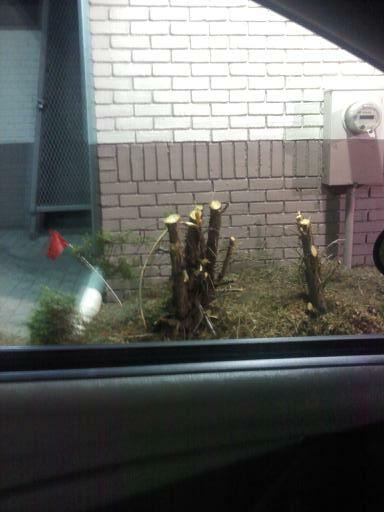 "Please pull to first window to order"
they cut down all the poor trees! So how about that for my 100th post?! We got smoothies from there today!